Lee Ellis is President and founder of Leadership Freedom® LLC, a leadership and team development consulting and coaching company, and FreedomStar Media®, a publishing company that provides leadership resources and training. A popular media personality and high-profile human performance expert, Lee focuses on organizational integrity, operational effectiveness and personal accountability for enterprise, government and not-for-profit leaders. 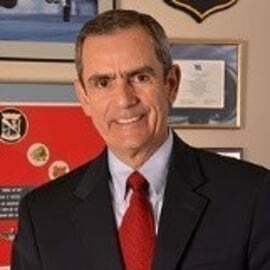 His prior experience was as a founding partner and senior vice president of a leadership assessment and human capital management consulting company headquartered in Atlanta, GA. For more than 15 years, he has served as an executive coach and a corporate consultant in the areas of hiring, teambuilding, leadership,  human performance development, and succession planning. His approach to maximizing leadership performance has been implemented by Fortune 500 clients, senior executives and C-Level leaders in telecommunications, healthcare, insurance, energy, IT, automotive, military, and not-for-profit sectors. A prolific writer, blogger and thought leader, Lee's latest book is entitled Engage with Honor™: Building a Culture of Courageous Accountability. His last award-winning book, Leading with Honor®: Leadership Lessons from the Hanoi Hilton, shares his POW experience and the 14 leadership principles that helped him and his compatriots resist, survive, and return with honor. His previous book, Leading Talents, Leading Teams, was published by Northfield Publishing and shares in-depth team concepts on how to lead and manage based on individual, innate gifts and talents. Additionally, Lee co-authored three books and workbooks on career planning. He is a nationally-recognized presenter and expert on the subjects of leadership and performance, team building, mentoring, and career planning. Some of his appearances include interviews on networks such as CNN, CBS This Morning, C-SPAN, ABC World News, Fox News Channel, plus hundreds of engagements in various industry sectors throughout the world.